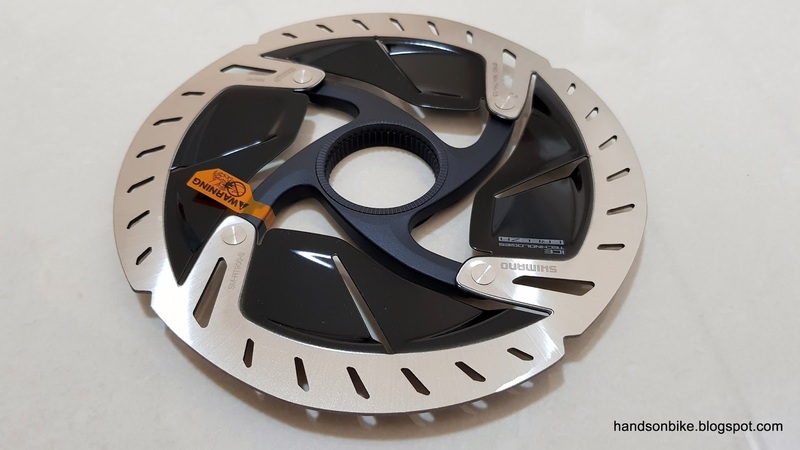 Recently I changed the disc brake rotors on the Canyon Endurace, so I had the chance to compare the stock rotors and the new rotors. The Canyon Endurace CF SLX Disc 8.0 Di2 came stock with Shimano RT99 Ice-Tech rotors, which is the top of the line XTR-grade disc brake rotors. It is not often that a stock bike comes with such good brake rotors. Nevertheless, since I am changing the entire groupset to Dura-Ace R9100/R9170, I wanted to make the groupset complete by also changing to the new Dura-Ace brake rotors. With this, I can compare the XTR brake rotor with the Dura-Ace brake rotor to see how similar or different they are. More details on the Dura-Ace RT900 brake rotors can be found at this link. 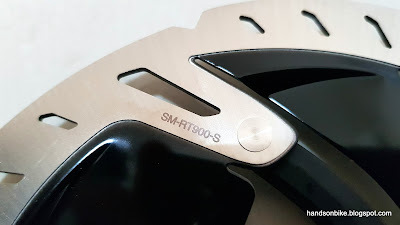 Dura-Ace RT900 brake rotors. Main difference with the RT99 rotors is the new appearance! 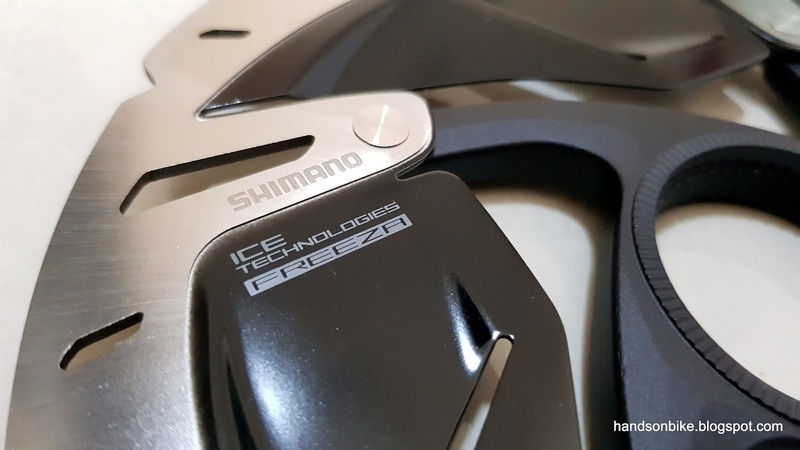 Ice-Tech Freeza rotors, which has aluminium cooling fins to help dissipate heat from hard or sustained braking. 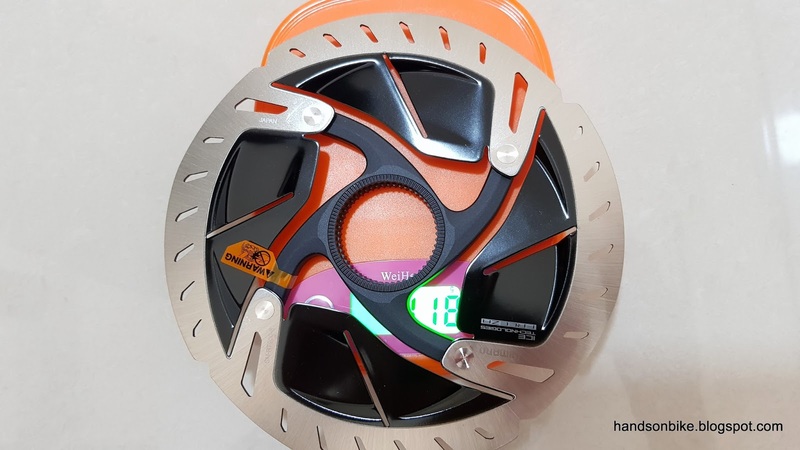 The "S" refers to the size of the rotor, which means a diameter of 160mm in this case. 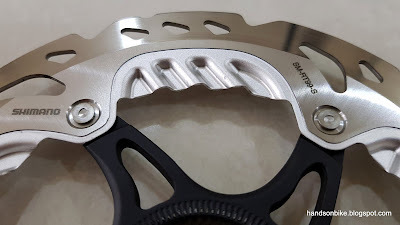 This is the RT99 rotor, which does not have the large black surface area found on the RT900 rotors. However, this RT99 rotor has the wavy pattern which looks like cooling grilles, but is less aerodynamic than the design of the RT900 rotor. 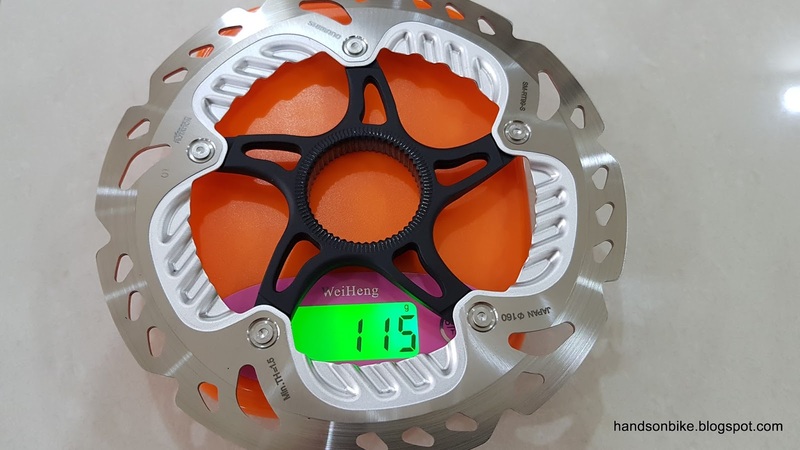 RT99 160mm rotor weighs 115 grams. 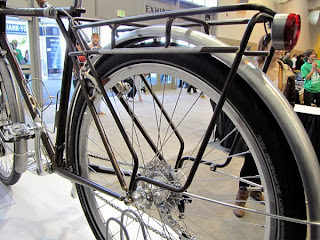 It has a more aggressive appearance that is more suited for mountain bikes. 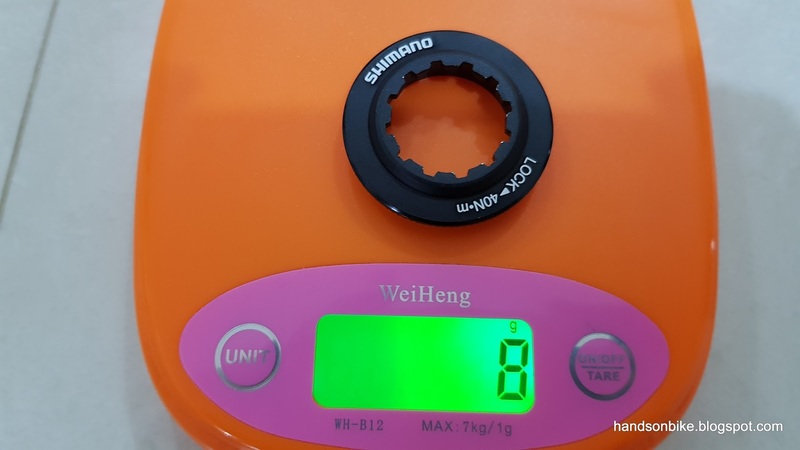 The RT99 rotors come with a black anodised aluminium lockring which weighs just 8 grams. Dura-Ace RT900 brake rotors weigh slightly more, at 118 grams. The weight difference is due to more material used for the larger black fins. 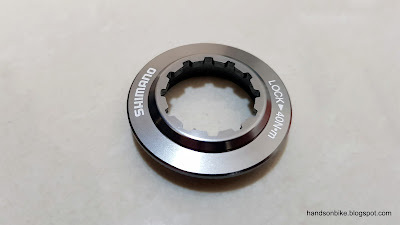 The lockring looks similar, but in silver colour instead. 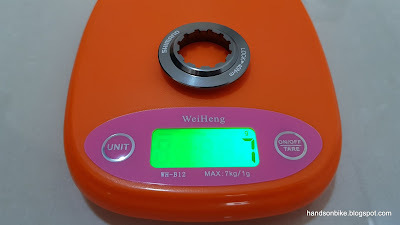 Although the weighing scale says 7 grams for the lockring, I think it is just due to normal error due to the low weight. The design looks the same as the black lockring, so the weight should be the same. 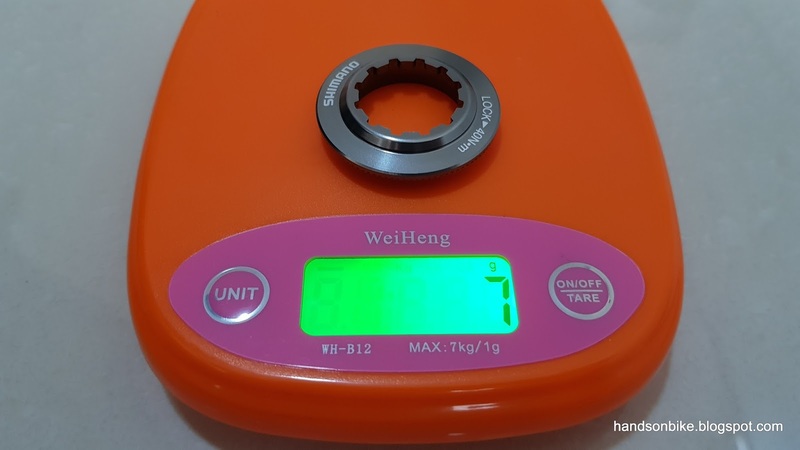 From this quick comparison, we can see that the Dura-Ace RT900 rotors weigh just slightly more than the XTR RT99 rotors, mainly due to the larger surface area. The biggest difference is definitely the appearance, where the new RT900 design is radical and maybe even controversial. 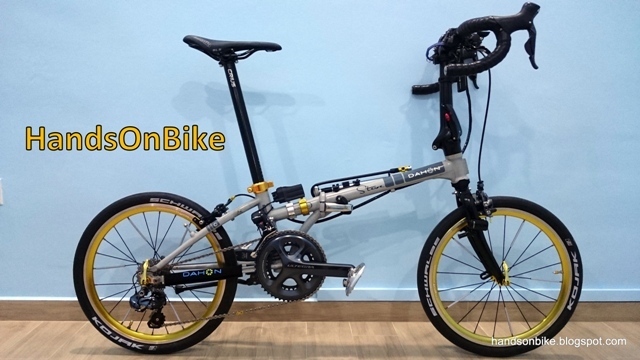 I am a fan of the new RT900 design, as it is more suited to road bikes as compared to the aggressive design of the RT99 rotors. Are the two rotors (99 vs. 800) compatible in terms of switching from the 99 to the 800? You mean the RT900. As long as they are the same size you can just change it.